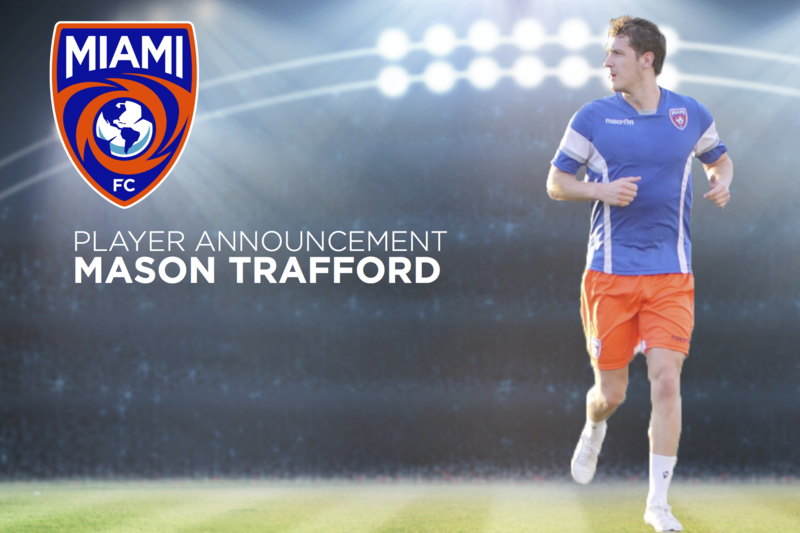 Miami, FL (February 4, 2016) – Miami FC has announced today that 29-year-old defender Mason Trafford has signed with Miami FC for its inaugural season. After a successful run with the North American Soccer League’s (NASL) Ottawa Fury, the “iron man” is reinforcing Miami FC’s talented defense. The Florida-born defender began his career in 2008 with the United Soccer League’s (USL) Vancouver Whitecaps and totaled 37 appearances with the team, including an appearance in the USL championship game against the Montreal Impact. In his years with the Whitecaps, he proved to be a versatile and adept player across the field, but it wasn’t until his time with the Real Maryland Monarchs where he excelled in the defender position. In 2010, Trafford took his talents to the Veikkausliiga’s IFK Mariehamm and became a regular starter for the Finnish team. He totaled 65 appearances by the end of his career with IFK Mariehamm before transferring to the Chinese League One team Guizhou Zhicheng in 2013. The defender was one of three international players who signed with the Chinese team and made 29 appearances with them. After four years abroad, Trafford came back to the states in 2014 and made his NASL debut with the Ottawa Fury where he played a central role in Ottawa’s climb up the ranks. In 2014, he led the team in minutes played, most NASL Team of the Week awards and was voted twice as the Fans Player of the Year at central defense. During his two years with the team the Fury FC enjoyed its most successful seasons yet winning the fall season in 2015 with only one loss and moving on to post season play for the first time in club history. Ottawa made it all the way to the finals and lost against the legendary NY Cosmos in a close match that ended 3-2. Player announcements will continue to be released as the Miami FC gears up for the 2016 NASL season.